Today started out like any other, near perfection in paradise. The lady librarian teased me while we were driving about my dragon worlds. I told her she was full of sass and vinegar. We drove down to the Cherokee Reservation and went biking on the trail along the river. We saw all the beautiful spring flowers in bloom. 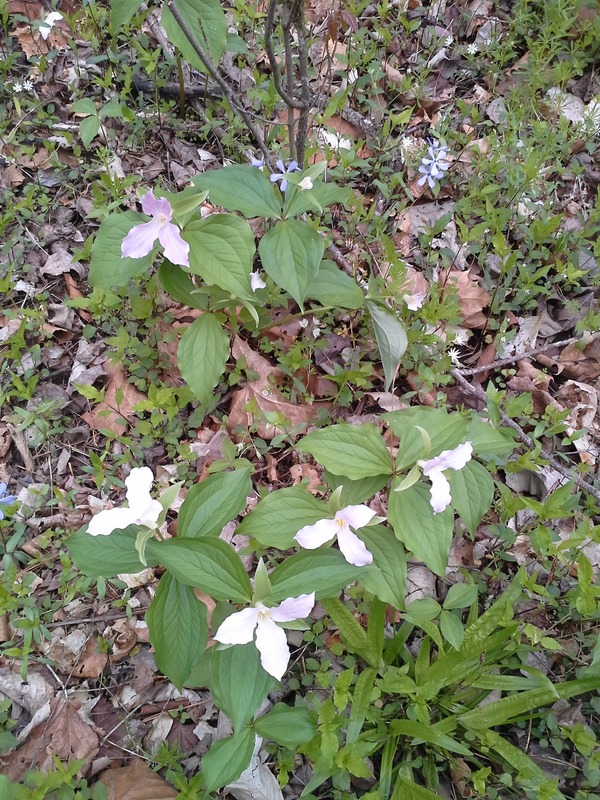 Purple and white violets, trilliums, Flowers I don’t even know the name of. 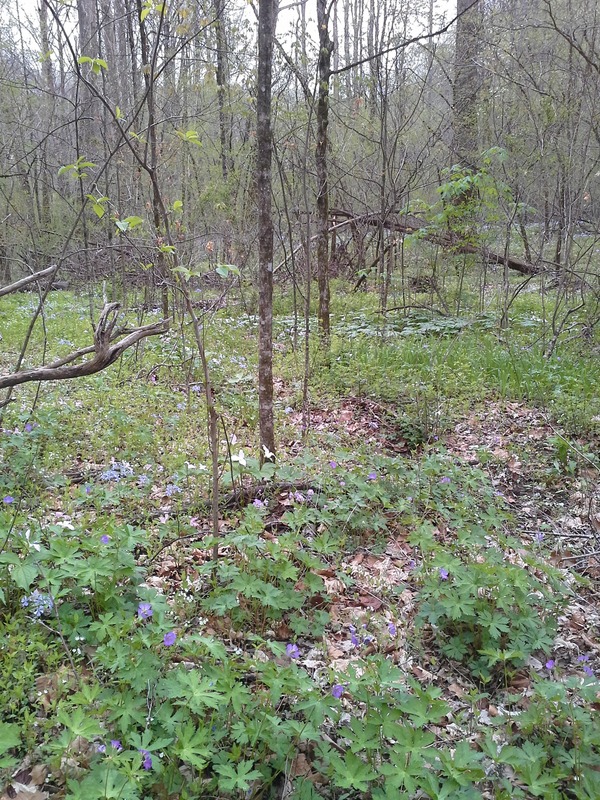 We biked about 5 miles in a spring fairy land. Then since last week was our one year anniversary, I’d gotten her a couples massage gift certificate. So we went from biking up to Asheville for our massage appointment. One word, heavenly. That was followed by Japanese dinner. We did have to take care of a matter of shopping for a shirt for the lady since we have a wedding to attend tomorrow and act as greeters for the festivities. And we had grocery shopping. A near perfect day. We arrived home, unloaded bikes, groceries, shopping bounty. I worked my way up the stairs from the front after parking the truck and found a very large box on our porch. Tomorrow I’ll tell you what was in the box. But for today. It is a perfect day in paradise! This entry was posted in Eden Glenn Promotion and tagged Eden Glenn, paradise, perfect days. Bookmark the permalink.